Brook Forest Voices, audiobook producer and publisher, is expanding to include audio services targeted at business marketing. Mobile internet users should have the option to listen instead of reading small print on their devices. Brook Forest Voices, audiobook producer and publisher, is expanding their business to include audio services targeted at business marketing. The new services offered include audio branding, audio testimonials, website audio, interactive audio widgets, radio and online advertising, audio tours, podcasts and more. BFV makes it easy to venture into audio marketing by providing professional voiceover talent, music (original and royalty free), sound effects and professional copywriters when needed. 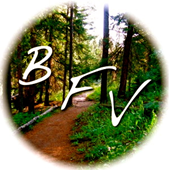 About Brook Forest Voices: a complete audio production studio located just west of Denver in Evergreen, CO, specializing in audiobooks and audio services for business. For further information, visit http://www.brookforestvoices.com or contact Jaime Andrade, BFV Business Manager at 303-670-4145.